Starring Fionn Whitehead, Will Poulter, Asim Chaudhry, Craig Parkinson, Alice Lowe, Tallulah Haddon, Laura Evelyn, Catriona Knox, Jonathan Aris, Paul Bradley, Alan Asaad, Suzanne Burden and Jeff Minter. Shadow-dropped on Netflix after a month of intense speculation, Bandersnatch is the Black Mirror brand’s first official foray into filmmaking – though honestly, several of the feature-length episodes basically qualify – and true to the series’ boundary-pushing form, it comes with an exciting catch. 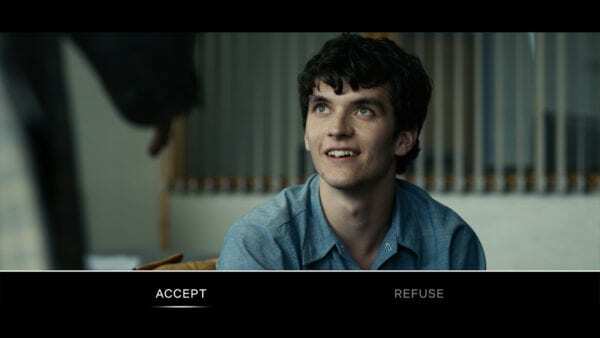 Bandersnatch is a line-blurring cross between interactive film and video game, a Choose Your Own Adventure story in which viewers – or is it perhaps players? – influence the outcome of the tale by selecting one of two choices with their mouse cursor or TV remote. And while those familiar with Telltale Games’ not-entirely-dissimilar episodic adventure games or last year’s FMV game Late Shift will easily deduce the seams of Charlie Brooker’s ambitious sci-fi horror, this nevertheless represents a bold, laudable attempt to offer up a glossy new storytelling experience. 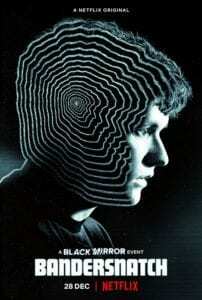 Bandersnatch takes place in 1984, with Dunkirk‘s Fionn Whitehead starring as Stefan Butler, a 19-year-old computer programmer with his sights set on adapting the titular fantasy tome into a CYOA video game. But soon enough, Stefan’s ambition sends him on a dark spiral from which he may not be able to extricate himself. Bandersnatch is a tough film to review for obvious reasons, least not that with its reported one-trillion storytelling permutations, no two viewers are likely to have precisely the same experience. Seeing every scrap of footage the game has to offer will take players roughly five hours, though if you’ve been “playing” for around three hours, you’ve most likely seen the bulk of it already. Speaking of the concept and its delivery system, this is an impressive achievement indeed. Anyone who’s played an FMV adventure game before will likely appreciate that they tend to be anything but seamless; clips will pause and stutter as the next one is cued up, while the video quality tends to be on the lower end of acceptable, not to mention flatly lit and badly acted. Bandersnatch, thankfully, falls prey to none of those issues. Picking the film’s first choice – to eat Sugar Puffs or Frosties for breakfast – may be hilariously frivolous, but the fluidity with which the choice system is integrated into the free-flowing narrative, without obvious dramatic pauses for the audience or technical judder, is genuinely awe-inspiring. Naturally the choices quickly become far more agonising, each of them accompanied by a timer no less, with some leading to imminent ruin and others plunging you further down the demented rabbit-hole. Brooker and Netflix’s technical wizards should be firmly commended for appreciating that not all audience members have time to sort through all the narrative outcomes, and so meeting a fail state will typically allow viewers to step back and attempt the other option without replaying the entire game. Cleverly, taking a mulligan will present viewers with a snappy summary montage of everything leading up to that point, just in case you’ve got your head in a spin (and honestly, few could blame you). Naturally if you’re new to this style of storytelling it’s likely to be far more impressive overall than to those well-reared on CYOA fare. And indeed, one can’t quite escape the feeling that Brooker and his team could’ve taken this concept even further, especially given the frequent meta-narrative references to notions of free will and destiny. Looking back after achieving all of the film’s endings, the through-line actually isn’t as complex as you might first assume, albeit convincingly and cleverly obfuscated through all the invisible transitions. It’s also important not to lose sight of the movie’s constituent elements outside of its enticing gimmick, and while Bandersnatch is hardly worthy of Black Mirror‘s finest satirical episodes, it mostly passes the taste test. This is in large part due to the strong ensemble cast, topped by a well-cast Whitehead alongside an hilarious Will Poulter (as a hot-shot video game designer), Alice Lowe (as Stefan’s therapist) and Asim Chaudhry (as Stefan’s sleazebag boss), among others. 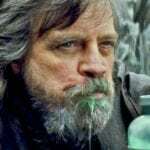 They sell the material with all of the gonzo grimness – and occasional amusement – it deserves, and there’s an impressive consistency in the performances across story paths, as can so easily become a problem in CYOA stories. Director David Slade – who previously helmed last year’s divisive episode “Metalhead” – certainly earns his keep here, refusing to dilute the considered quality of sequences in favour of expediency (given the greater wealth of material required to be shot for the film). While most CYOA and FMV-driven stories tend to feel at least a little roughshod, there’s not a single cheap-looking or throwaway shot to be found here. And that’s really it. 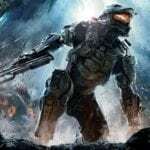 There is nothing in this movie that feels low-effort or lazy; it could certainly be more narratively nourished as a whole, but it’s easy to appreciate the film for its solid attempt at asking people to look at cinema – or TV, or video games, or whatever this actually is – in a different way. 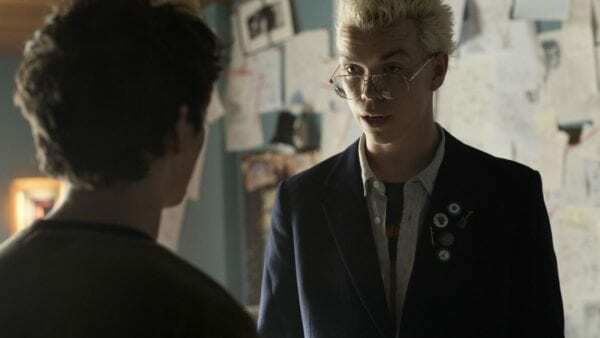 Though hardly a full-fat realisation of its impressive concept, Bandersnatch offers up a technically sharp, well-acted tech-horror romp with future storytelling potential.